It's Janice here today, from Janice's Jems and I'm super excited to share a fun project with you all today! 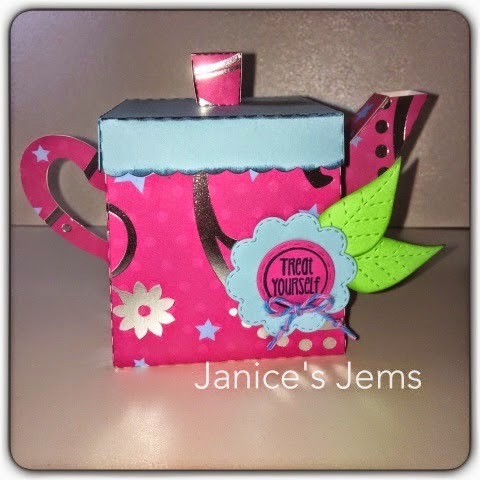 I found this little teapot in the silhouette store & knew I wanted to make a fun treat. I decorated it with Spring Dies & Spa Candies. I just love how easily Jaded Blossom helps to 'dress up' any little project. There are so many fun sentiments to pick from! I hope you've enjoyed my project today. Feel free to stop by my blog for more info! Very Pretty! Love the twine! !